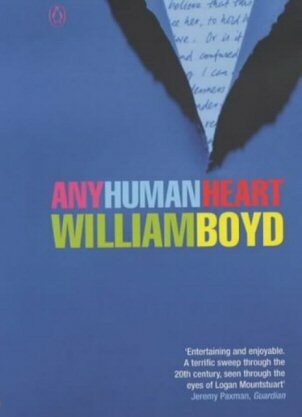 I picked it up again recently as there has just been a four part TV adaptation on Channel 4, scripted by William Boyd. I was really looking forward to seeing the characters brought to life, but I have to admit, I was slightly disappointed. Not that it wasn’t good TV, it was, but Boyd was never going to be able to condense all the nuance and detail of Logan’s life down into 6 hours of TV. Sadly he seems to skip over virtually all of the New York journal, my favourite part. I especially like the conceit of Boyd (who styles his role as that of compiler and editor of Logan’s journals) in supporting these “made up” journals with more made up detail, giving the story additional voracity. The biography of the undiscovered New York artist Nat Tate for example, who gets his own separately published biography is especially clever, weaving as it does truth and fiction with effortless ease.